The mystery of art fascinates me. You start out with a seed of an idea, thinking you’re going to draw/paint/photograph a tree, and you wind up with a duck. How does that happen? 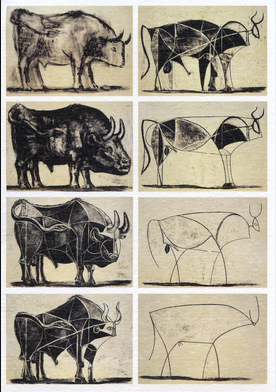 I didn’t realize how universal it was until I discovered Picasso’s bull. In the image shown here. 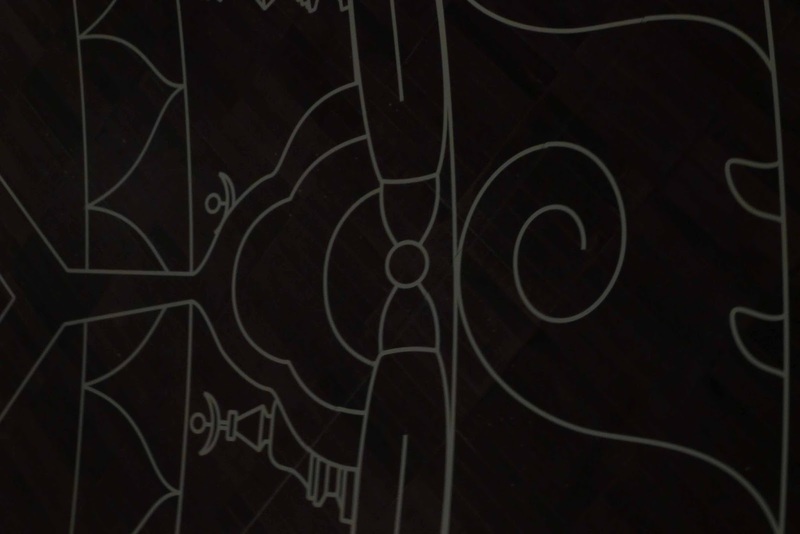 You can follow the progression as he draws a bull, and not a bad bull, in the top left. Move down the images on the left as he first gets more bullish and then begins to move away from absolute bullness. By the time you get to the right column, he is going more and more abstract until he winds up with a few lines but still has his bull. However, it is a very different bull, merely the essence of bull. Did he know where he was going? 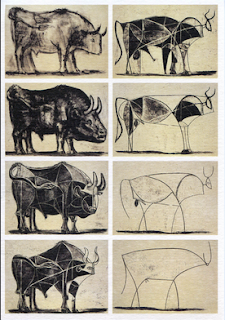 It is my belief that Picasso didn't know that last bull would show up. I sometimes wonder if he ever groused about the fact that he had to draw nine bulls before he got to where he wanted to be, a place that pleased him. However, he probably understood that he had to allow a process of discovery to happen in order to get there. That process is the mystery of art, one that we may never completely understand. Maybe it’s because Picasso was a great artist and I’m still a student that he could do all that transformation and still wind up with a bull, while I start out with a tree and wind up with a duck. The process still fascinates me. Yesterday I was just playing, with nothing much in mind. A huge percentage of the photos I take are just textures or interesting things that might be elements in a piece. This jewelry image was one of those. 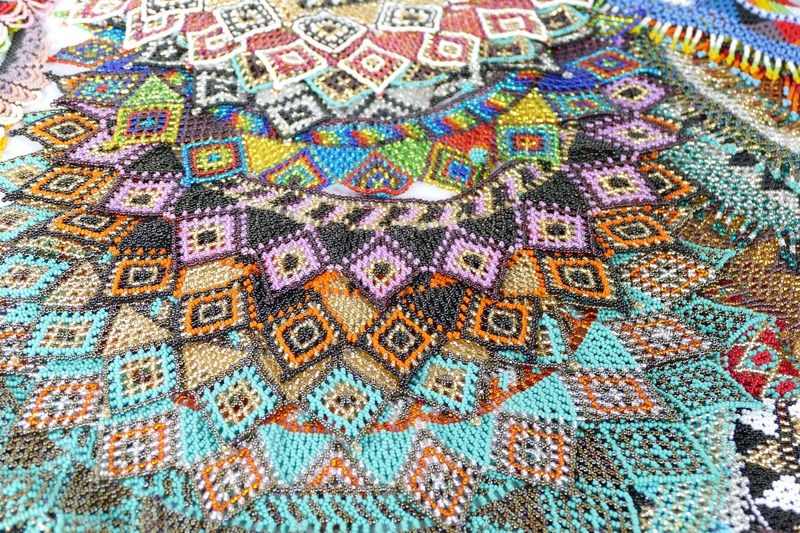 Bead work found in the mercado. 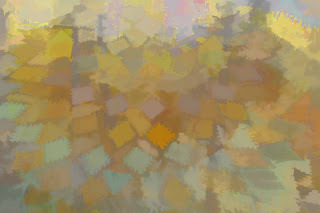 I had played with this image before, creating a background which called to me once again. 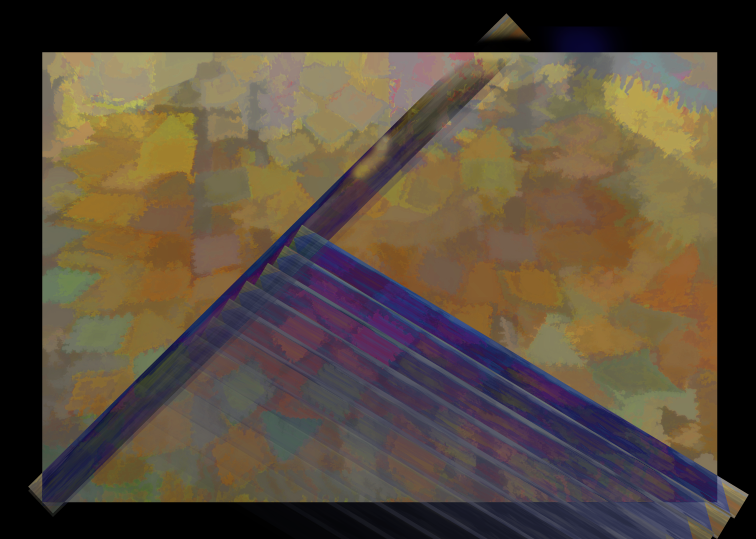 My photo artistry teacher, Sebastian Michaels, keeps talking about experimenting so I was trying to follow his advice and started playing with a diagonal created from the background. That wasn’t getting me anywhere, so I kept playing, repeating the diagonal in a different direction. More diagonals, creating a pattern. I liked the pattern that emerged, but what to do with it? I tried putting a tree in the image. Actually two trees. Tilt. Reject. I was stymied and started going through my images to find something that wanted to play in this picture. 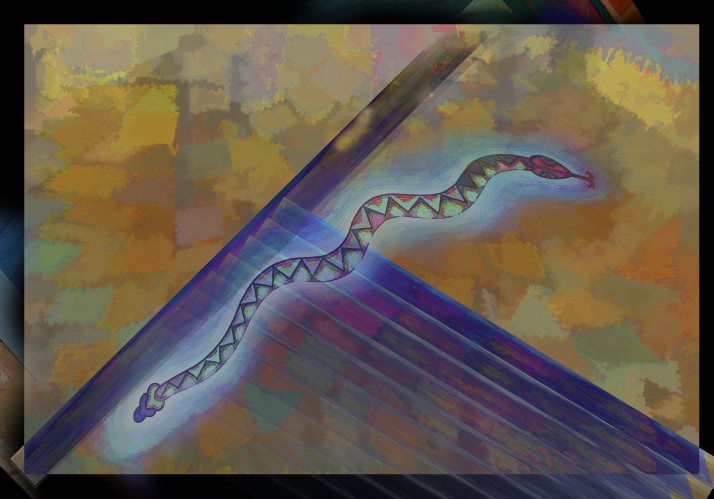 When I came across this snake, I wondered what it would look like if it were crawling across that vertical line. 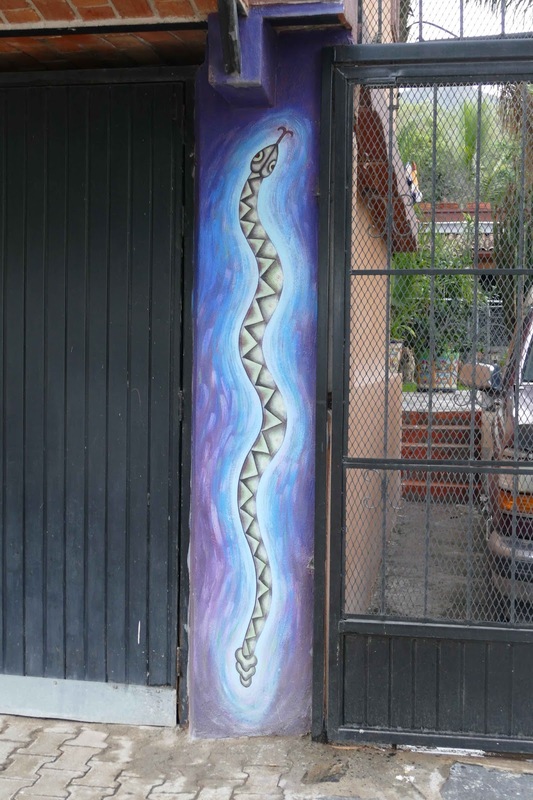 Wall art snake in Ajijic. The snake really intrigued and energized me, but it was too straight and I wanted more color. Also, of course, it was someone else’s snake and if I’m going to steal an idea, I want to make it mine. 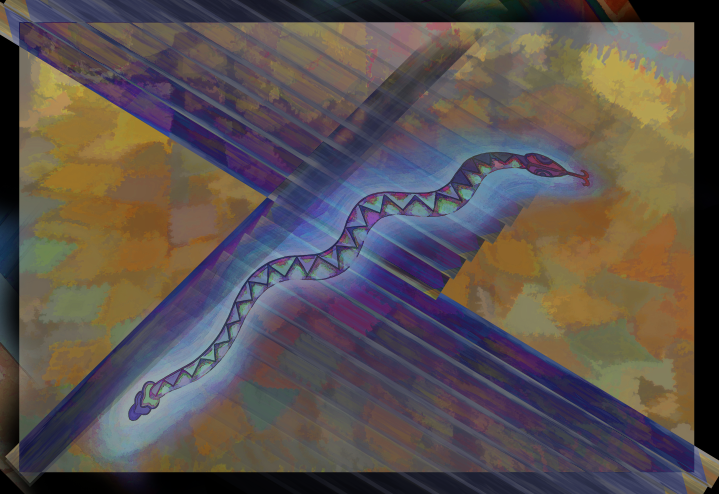 Snake joins the developing piece. When I added the snake to the diagonal, it started to get really interesting, but I still had no idea where it wanted to go. It looked like it was going somewhere ... or at least wanted to go somewhere. I tried the trees again. Snakes and trees go together. Nope. Didn’t work. In order to fill the space, I repeated the triangle of lines … and that composition pleased me. The composition comes together but where is it going? However, I still didn’t have a sense of where the whole thing was going. Back to the photos. The one that popped out and said "use me” was interesting but way too dark. I was sure it wouldn’t work but tried it anyway. And, I was right. 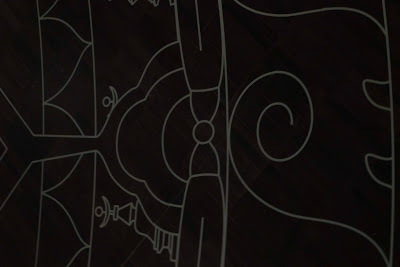 It was too dark, but I liked the lines and there was something about it that really pulled me forward. Too dark, but the mystery captured me. 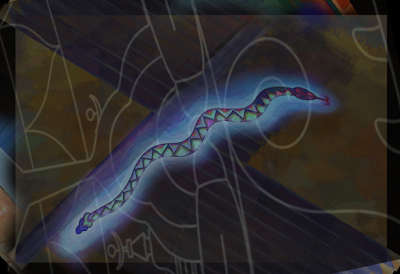 It took a lot more playing, but I now had a sense of where I was going, however, I didn’t know where the snake was going until I decided he needed a map. 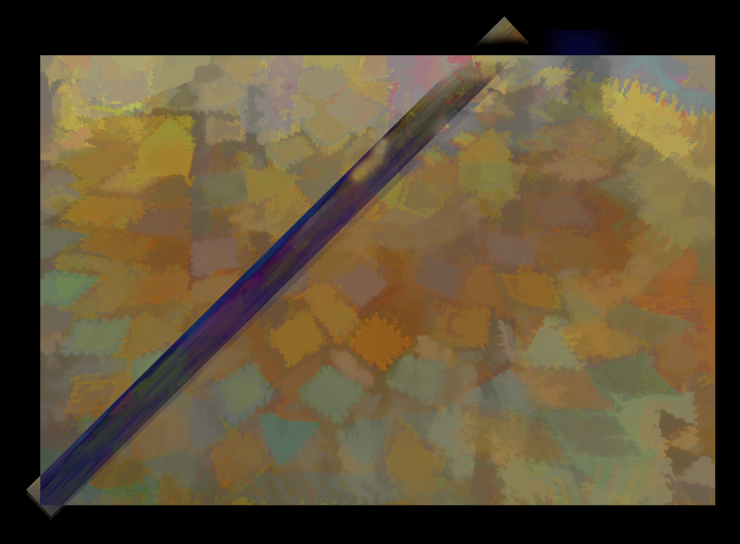 After that, it was just a lot of tweaking and more layers until the final image showed up. So, that's "Song Lines of the Snake” … a “duck" I never expected. 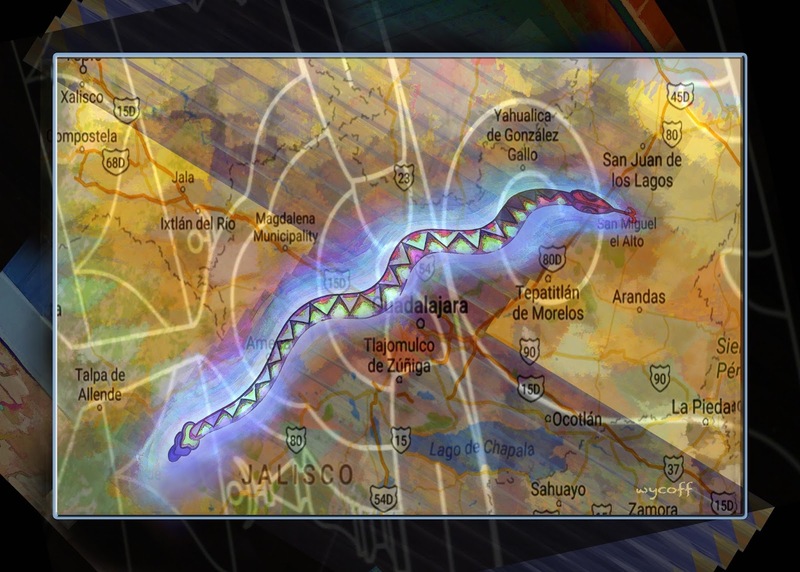 I started off with a piece of beadwork from the local mercado and wound up with a snake on a journey. This is the reason I keep coming back to this form of art. Some folks scoff at Photoshop and call it “cheating.” I am just grateful to have such an amazing, powerful tool that I can use to pull something forth from myself that surprises and delights me. Here in Mexico, the way we say we like something is, “me gusta.” A more literal translation would be … "to me, it is pleasing." I like that nuance. It’s not a judgment about whatever it is, it is a statement about how it affects me. It pleases me. I have no idea what the judgment of my art is or will be by the world. I just know it pleases me and every day I am grateful for being able to play in this world of photo artistry. We’ll talk more later about Photoshop and this new and sometimes controversial world of digital art, photo artistry. Love hearing about your process. It's much like my quilt making, except I call it auditioning various fabrics and even pieced work if adding various bit together. I suspect your "undoing" something is quite a bit faster than my ripping out of actual stitches....but it's the same exciting, and personal journey of discovering what "pleases me."